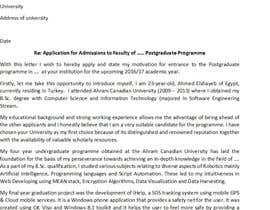 I will be applying for some universities in Europe for a master studies and I need a motivation letter to add it to my resume along with the application. you will need information about me to make the letter of motivation such as degrees and work experience.... so please send me the questions you need to know about me and I will answer them in a PM. my profession is Script automation and Artificial intelligence development (AI), I am also interested in web developing using MEAN stack, and also interested in Data Visualization, Data Harvesting, and Encryption Algorithms. in late 2013, I was interested in crypto-currencies such as BTC, I've mad a bot based on some algorithms based on news, Market depth, and supply and demand to predict the upcoming price of a specific crypto currency. 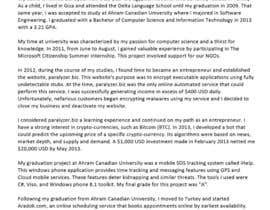 I have invested 1000 USD in Feb 2013 and made a profit of 20,000 USD in May 2013.
in early 2012, I have established a website ([login to view URL]) to crypt executable applications using fully undetectable stubs. I was the only online automated service that could do this in 2012 as my system was automated to take the application and automatically crypt it using a unique stub generator and take the money in LR USD automated through the LR API (LR is Liberity reserve. something like paypal that was shut down). I was making around 400$ daily from that yet I had to close the business as some customers were encrypting malwares using my service. I traveled to Turkey like a year and a half ago, I had a long distance relationship and I traveled to meet my love. I also started a project in Turkey ([login to view URL]) an Online service. Actually its more or less a clone of ([login to view URL]) you should state same features as that website and not mention anything about zocdoc.com. I will upload something on [login to view URL] later for proof of content. anyways. I was looking for investment and ways to raise funds to start the project, sad;y I couldn't find any investor. and also I broke up with my girlfriend. so I am interested in continuing my education and become a Master's Student. P.S. Not all information provided have to be mentioned in the motivation letter ! Hey Ahmed, I have mine finished but am having difficulties with uploading it in the right format. I will try to upload it again. #2 We are a team of writers and researchers. We just want to help. We wrote a perfect letter for you. please tell me the names of universities in which you are planning to apply? also tell me the the master programe you are interested in? The information you detailed in the contest brief actually fails to answer the most important question. That is, what master’s degree do you intend on pursuing? Although you may not necessarily have chosen a university, you quite likely have scouted one or more universities in Europe that offer a master’s program of interest to you. 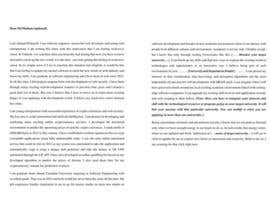 Once you’ve finished with your CV, be sure to give us some guidelines on the maximum and minimum word count, as well. done, please tell me if there us any more information needed. Give me a chance to write articles and essays. Thanks. 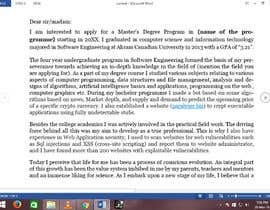 CV is posted, I intend on pursuing a master studies in one of these programs, but not limited to: Advanced Computer sciences, Artificial intelligence, Cloud computing, Web development, Automation and IT, Communications Engineering, Software Engineering and Application/Network security, I didn't really make an intensive research on universities abroad. I just do not plan to stay in Turkey and study in Europe, so I figured I should get all my documents ready first. Minimum pages is like 4. no max. Please send me your CV to get an instant quality letter. You're 23 and you're attending to university. you should have a CV. I will make a CV later Today and Post it here, but information I have provided in Contest Brief have almost all required information, Once I finish the CV I will add it to this contest. 1)Why do you think the university you apply is suitable? 2)Past qualifications, experience, skills and expertise which make you suitable to do your masters in the university in question. 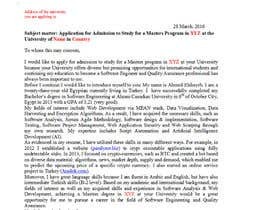 Please pm answers for below 2 questions, will ask you more questions and deliver you the motivational letter that will certainly give you the opportunity to do your masters in the university of your first preference...! Your specific achievements .....your personal details and any personal witty story that resonate with your skill or hobby....? What are your interests ? specific areas of expertise and your area of choice in Europe ?